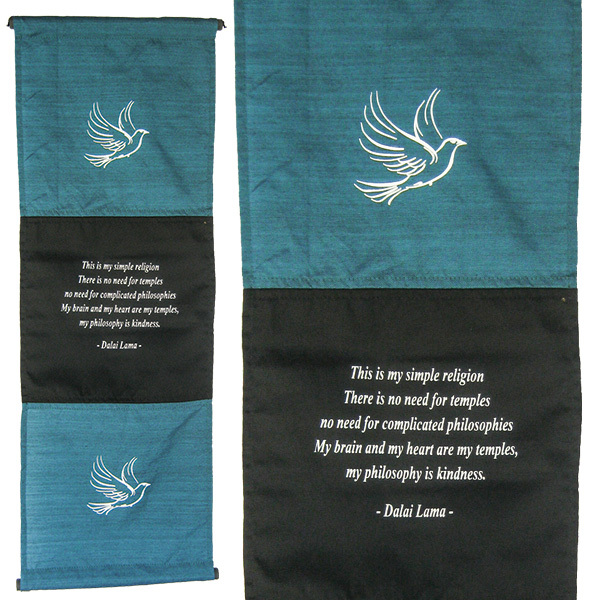 Lightweight blue and black fabric wall hanging, handmade in Bali, with screen printed Dove image and inspirational quote by the Dalai Lama. 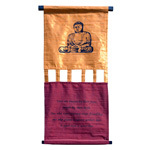 A wooden dowel at top and bottom keep the banner flat against the wall. 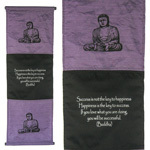 The top dowel has woven cord for hanging.